Providing you with quick and easy, but top-quality products are what we do here at Green’s! Everybody deserves the best desserts and food, but not everybody has the time to make them, that’s where we come in. We can provide you with the best time-saving products you could want! From a rich chocolate mousse mix to a simple Vanilla Sponge mix, with a wide and exciting range between. 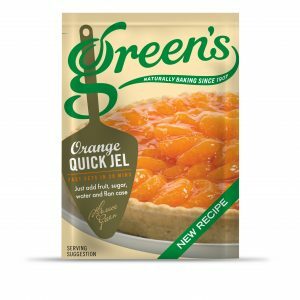 Don’t let struggling for time stop you from enjoying amazing baking, shop Green’s time savers right here. Instant custard - just add hot water to make a creamy tasting custard and pour over fresh fruit, or crumble, or whatever you wish, it's that simple. Making 3/4 of a pint of custard could not be easier than with the Pearce Duff Custard Mix!